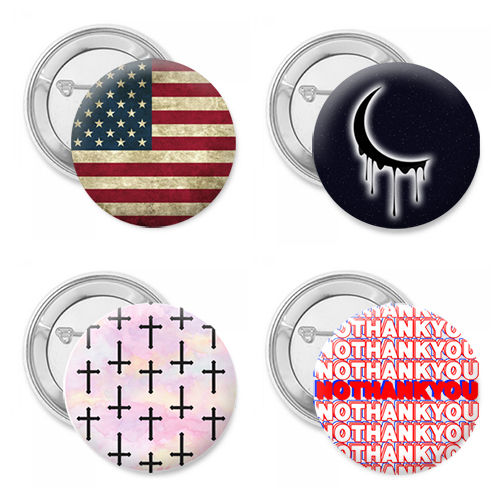 This Grunge America 4 pack button set represents an Americana grunge American flag and a No Thank You button. Perfect for your backpack or on your hat making the right statement. The 4 pack Grunge America button set is the perfect statement maker providing just the right attitude behind them. Get the 4 pack and keep them for yourself or share with your friends. All come with a pin backing so don't hesitate and purchase your Grunge America button set today.